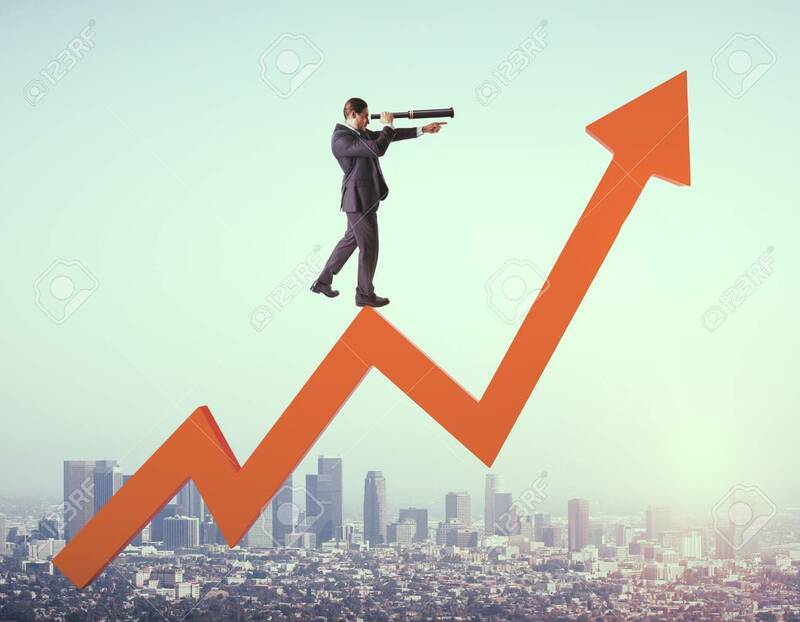 Young Businessman With Telescope Standing On Red Arrow. City And Sky Background. Vision And Finance Concept Royalty-Vrije Foto, Plaatjes, Beelden En Stock Fotografie. Image 116138060.